This is the tallest & widest 3 step level currently made. The level incorporates lattice, high grip upper tread surface. It pockets the wheel at every height, so no need for chocks. 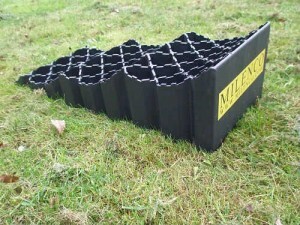 Solid base which is ideal for use on soft ground or sand. Comes complete with a storage bag.